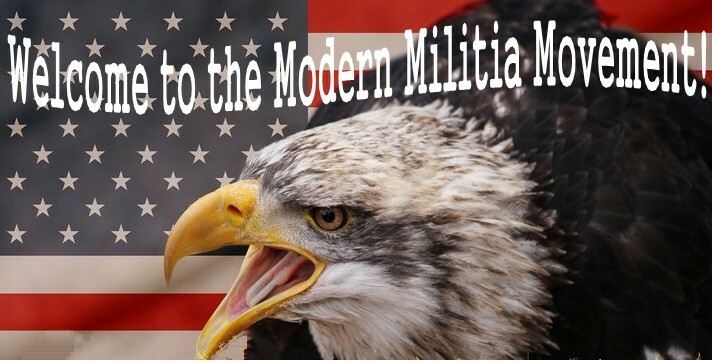 The modern militia movement is much more than just a fancy term used to demonize the Americans involved in such an “extremist” view, it’s more of an awakening. It is the right of the people to keep and bear arms. Furthermore, A “well regulated Militia being necessary to the security of a free State”. A militia, by definition, is “non-professional fighters; citizens of a nation or subjects of a state or government that can be called upon to enter a combat situation, as opposed to a professional force of regular soldiers or, historically, members of the fighting nobility. Despite how the mainstream media likes to portray such individuals, a militia is necessary, for the security of a state, to remain free. It’s the noncommercial response to a military reaction. Imagine for a moment – Your local militia organizing at a local pizza place, to show how to assemble and disassemble an AR15… could you see that in NY? No? Well, that’s for a good reason. America is under attack from within, and our guest this Monday helps show how you can combat this force. It’s more than your right, it’s your duty. It used to be, once long ago, that you could just exist in the land of the free… but now you must activate and become active to remain free. On this episode of The Gun Show, Dave Womach interviews Spokane’s Lightfoot Militia leader to discuss what they’re all about. Who are they, how do they organize, why do they organize? Join us Monday to see what you can do. Listen to this broadcast of Militia the modern movement in player below! 15 Comments on "The modern militia movement"
One question. I have to say I do not totally understand the prepper movement and really do not understand why many so called preppers are against things like seat belts, air bags, car safety standards and say the drunk driving is not a problem. It seems to me those are completely opposing points of view. Someone explain this. Clover, I don’t know where you get your information or if this is just something you’ve read or heard from a single source and done no further research. Overall A prepper is no different from anyone else save one most important point. Like most people Preppers are concerned about what could or may happen that would disrupt or endanger themselves, familys, and country. Although unlike most people the millions of preppers out there prepare and plan ahead to better survive and be more comfortable when a disruption of any kind befalls us without having to rely on outside source i.e. government or others for help. clover, not every prepper is opposed to those things but every prepper is against govt. intervention to impose “safety” and “for your own good” limitations on anyone. I don’t know of anyone who thinks drunk driving is not a problem but, again, punish the people who get in wrecks, not the ones who don’t is the prevailing philosophy as I understand it. Personally I disagree with this and think drunks should go to jail along with marijuana users but I also think marijuana and all drugs should be legal unless they lead to unlawful and harmful behavior. So Steve you and others would be against those things that I mentioned because the government said it was good for you even if the facts back it up? That is why a large share of preppers that I have talked to are hoping for something bad to happen so they can pull a gun on someone. I have no problem at all being prepared for a disaster but hoping for one so they have an excuse of using their automatic machine gun on others is sick. That is definitely the mentality of many. The fact that you prepare or do not have a problem with being prepared makes you a prepper. It would seem that it is the mentality of those that you choose to read about or associate with that causes you problems. I would find some new prepper friends. I’m sure you will find that may more of the millions are not as you think and will have a more open mind than maybe yourself. gman they are not my friends. You could call me a prepper because I probably have weeks worth of food and know where to get more and all the water I want. That is not difficult in anything other than a large city. Yes if you are in hurricane prone areas, flooding areas or tornado zones it is stupid not to be prepared in some way. One of the main problems I see is people want to make big bucks off of you when there are far simpler solutions. When you go to an extreme and make it your life at being prepared for the asteroid that hits the earth once in hundreds of thousands of years then I feel sorry for you poor life. I live and let live and if something extreme like that hits I feel it is my time to go. We only live so long on this earth anyway and spending half your life to save possibly a few miserable years of existence for something that does not occur in 100s of lifetimes then there is a mental problem in my mind. Clover; there are a few nuts in any movement. Most are like any average citizen,want less government less spending(meaning less taxes)and being forced to buy a product we neither want and in many cases don’t need. While I don’t need or want a machine gun it is legal to own and I prefer to protect myself with less than that. Most of us just want to prepare for events that may happen(floods,tornadoes,medical mishaps,etc) Don’t put us all in the same box. Do what you are comfortable with and allow us to do the same. God bless! The list goes on and on. The average prepper can see the writing on the wall; a government that is creating an unsustainable condition on multiple levels, and is doing what is necessary to survive the consequences of this lunacy. Clover, I invite you to join us for one of 14 live broadcast weekly at Prepper Broadcasting. These broadcasts from 17 different hosts are all about sharing information on a wide variety of topics from canning, preserving food, gardening, disaster preparedness to the constitution and bill of rights. Like most in the Prepper Community we do not advocate lawlessness of any kind or promote fear. We simply learn, teach and share with each other information and skills that promotes self reliance and independence. Information you are not going to find on your television. 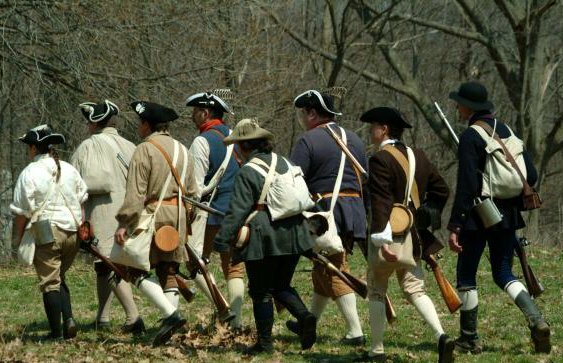 A federal government recognized militia must be established to guarantee observance of second amendment rights. States have already begun to undermind the 2nd. New York Safe Act and Colorado are two examples. Restrictions that make possession of certain firearms and accessories felony offenses seriously restrict Preparations for readyness. October what are you doing being prepared for what with an automatic high powered gun? You say it is against the second amendment? How is that? I guess having a nuclear missile in your back yard is your second amendment right? Both of which were not in existence when the second amendment was written. Nice straw-man response clover, but don’t let that stop you from trolling I guess. lol. If I saw a bunch of folks with their weapons at a Pizza Hut, I’m pretty sure I would stay far away from those folks. Large groups of people with weapons have never ended well. Or peacefully. Clover; you are being melodramatic..no one wants a nuclear weapon and few have automatic weapons(legal when you fill out the required federal forms and pay tax)no telling what someone has when they break into your house. You don’t have to own one! Just don’t infringe on my right to have one is I so choose. It real comes down to a simple fact. Prepare for anything and pray for nothing. Which means you prepare for any negative foreseen or unforeseen event/s but you pray that nothing negative happens. That’s not a bad thing to do. Americans can’t depend on government or anyone else. We have to be self sufficient. There is nothing wrong with this philosophy and way of life. It just makes you stronger.